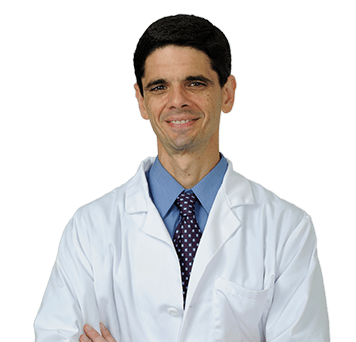 Born in Buffalo, New York, and raised in Fort Lauderdale, Dr. Darron DiGiulio earned his medical degree at Nova Southeastern University College of Osteopathic Medicine with highest honors. He completed his dermatology residency at St. John’s Hospital in Far Rockaway, New York and his internal medicine residency at the University of South Florida, where he served as chief resident. Prior to joining Water’s Edge Dermatology, Dr. DiGiulio practiced at the Cleveland Clinic in Florida and founded Omni Dermatology Center. Board certified in dermatology, Dr. DiGiulio has authored many articles that have been published in scientific journals. He has lectured to the medical community and has appeared on local news to educate the public about sunscreen.